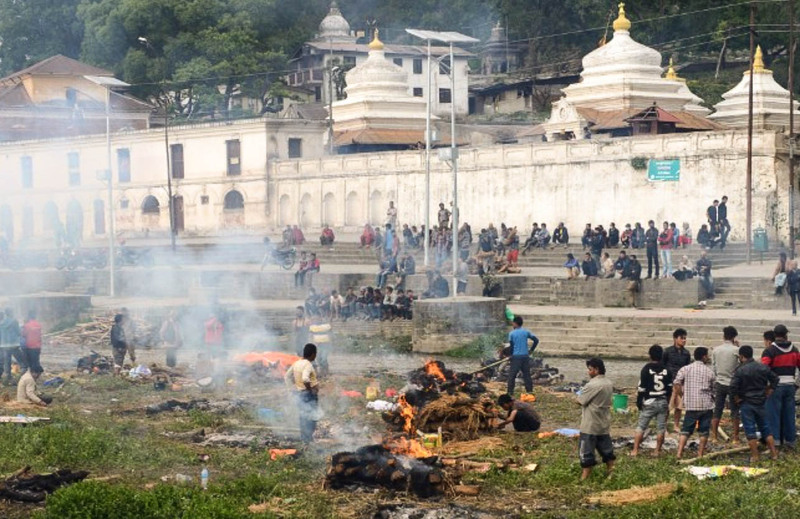 Nepal and Kathmandu are in the news this week for the worst of reasons, a catastrophe at once unimaginable and yet recurring. The Years 1255 and 1934 saw similar earthquakes severely rattle the country’s foundations and then too its mountainsides and some of its rich architectural legacy collapsed on top of a stoic people who did not have much to begin with. 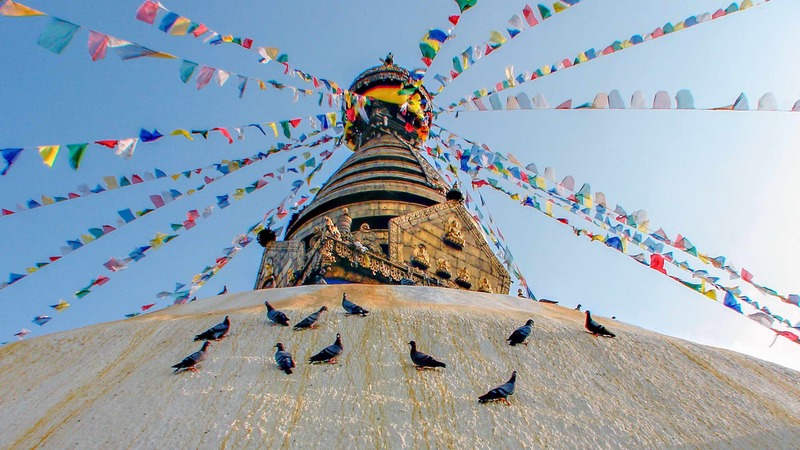 Update: June 16th saw the reopening of six of the seven UNESCO World Heritage sites as Nepal tries to revive its tourism industry. It annually hosts some 800,000 visitors, 85% of whom are coming for the country’s cultural attractions and the other 15% the trekking possibilities. See here for a related news article. It has almost been a decade since my last visit to Nepal and the Kathmandu Valley but it is never far from my mind. Laila and I spent three memorable weeks there in October of 1996, mostly in the Kathmandu Valley and the Pokhara area. In 2006 I would return for six weeks of trekking – three weeks in the Annapurnas and three in the Mount Everest region. And before, after, and in between the two treks I got to explore once more the cultural treasures of Kathmandu and the towns nearby. October of 2016 was to be my return to the valley to reacquaint myself with an enchanting city and a welcoming people that may be at the top of all the places I have ever visited. 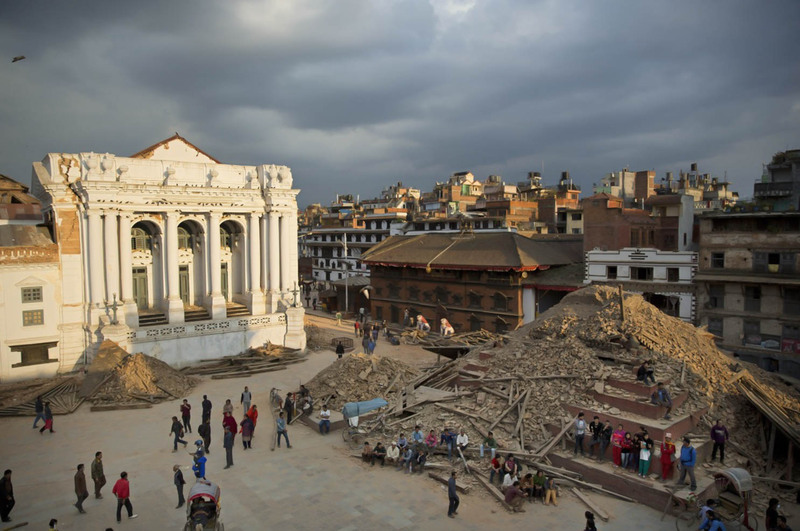 While that plan is now on hold, Nepal will remain in my thoughts as its people rebuild their homes and roads and the temples which are an essential part of a culture in which religion is still a living force. This everyday faith of theirs and their own efforts, coupled with the generous aid of friends from outside the country, will hopefully mean that in a decade from now Nepal will be back on its feet and welcoming trekking adventurers and those who would like to see for themselves one of the world’s most amazing expressions of human culture, the Hindu-Buddhist world of the Kathmandu Valley and points beyond. Buried all these years on a series of computer hard drives have been a few hundred jpgs image files of the Kathmandu Valley. News of the earthquake led me to dig them up and look at them again. 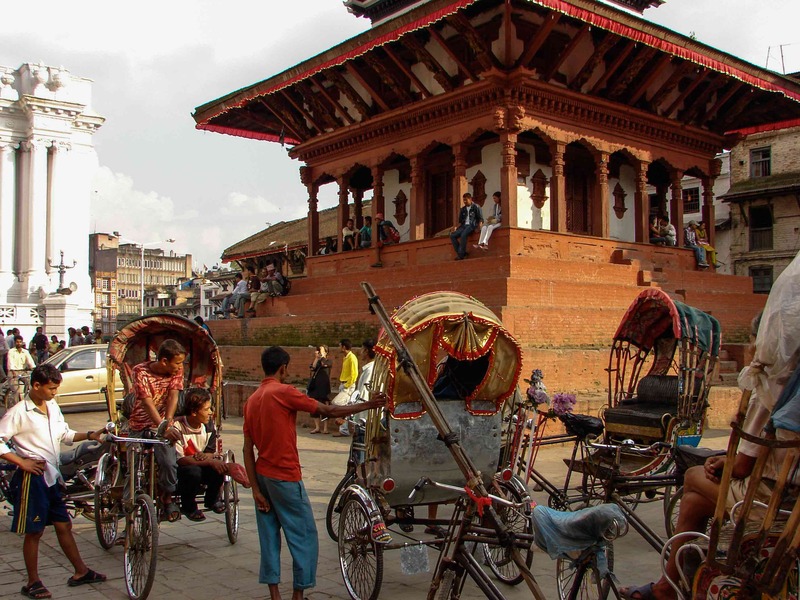 What I hope to do in the next few posts, other than contrast the Kathmandu that was with the one that is now, is show what it is that makes the Kathmandu Valley so special. 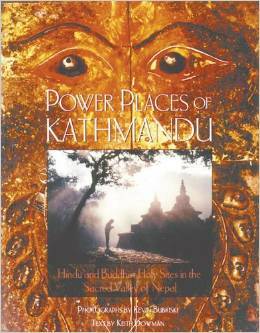 An excellent book for background and inspiration is Power Places of Kathmandu (1995) , a 130-page coffeetable-sized book with incredible photos by Kevin Bubriski and insightful – and readable- text by Keith Dowman. 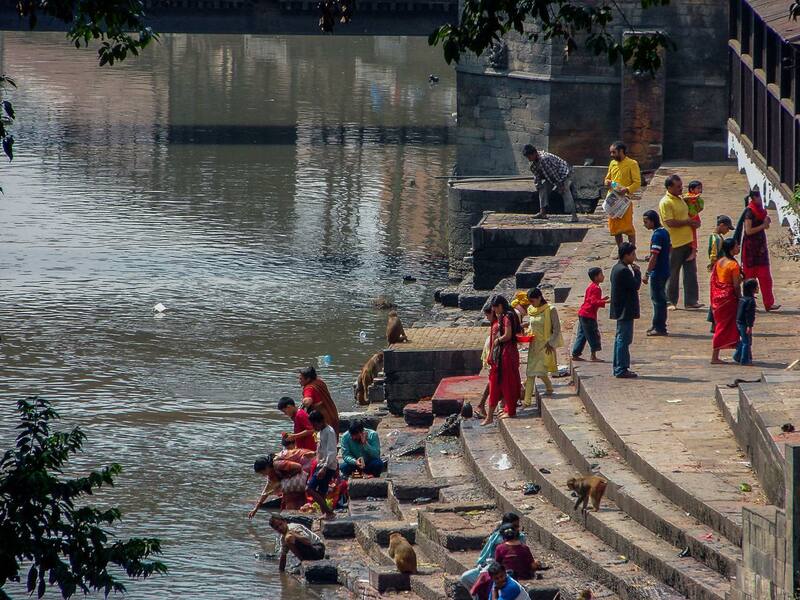 See here for a link to the UNESCO web page on the Kathmandu Valley. Post-April 25, 2015 the question I had been asking is this – What is the best way I can help Nepal? A few years ago I recall donating to the Shelterbox organization for the Haiti disaster. Not to knock Shelterbox, but this time I have taken Saunders’ advice and gone with one of the agencies he mentions. 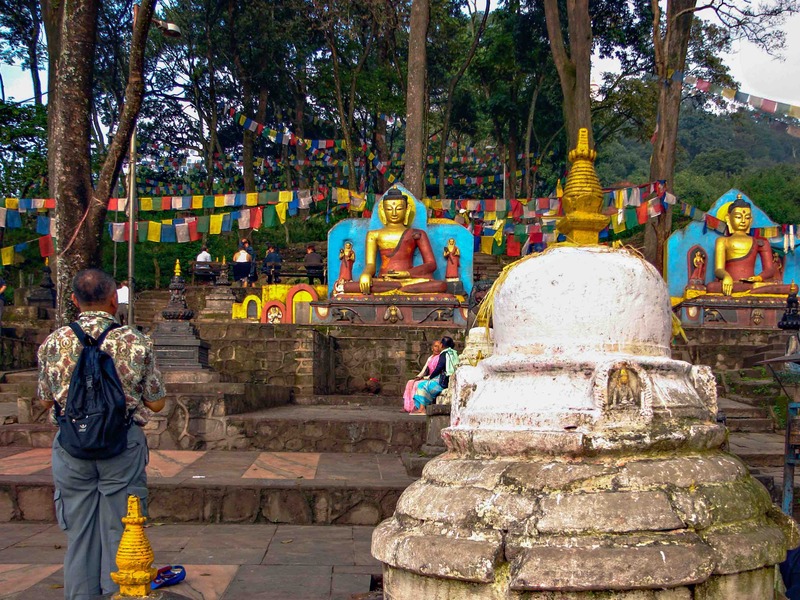 Next post – Swayambhunath – Buddha Eyes Over Kathmandu. This entry was posted in Nepal and tagged Durbar Square Kathmandu, Kathmandu earthquake, kathmandu must see sites, kathmandu top sites, Kathmandu UNESCO Sites, Trailokya Mohan Narayan Temple before and after. Bookmark the permalink.